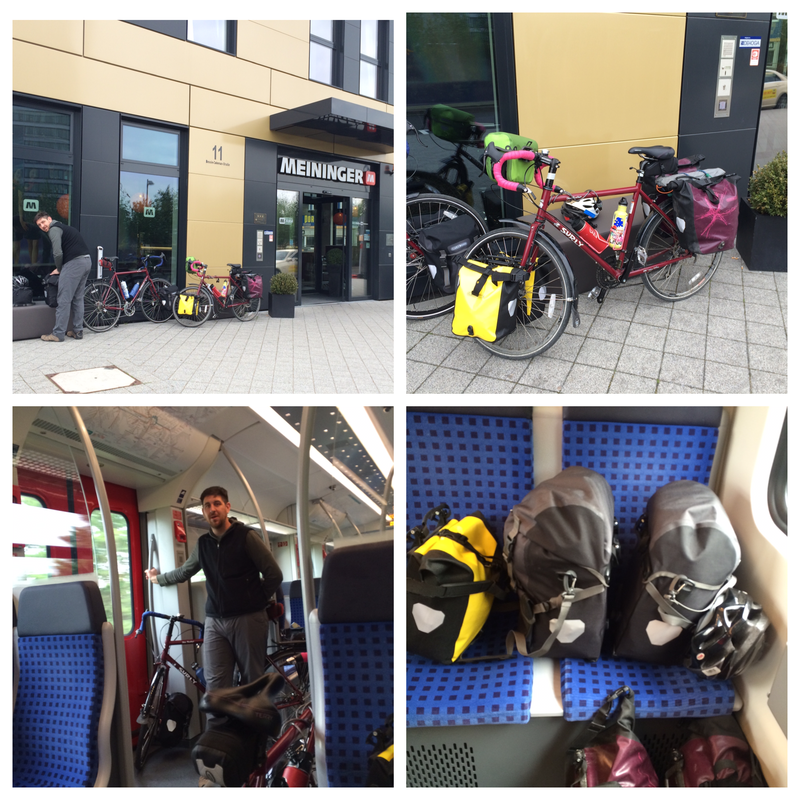 Quick stats: 100+ miles, 2 large European cities, 1 night in tent, 3 hotel/hostel stays. 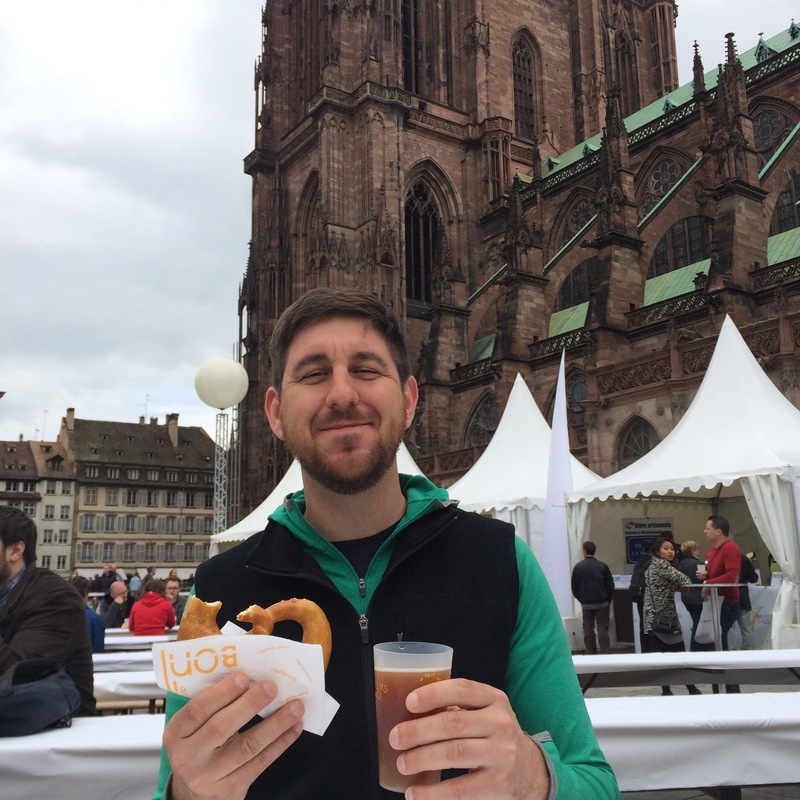 Adam & I are having a blast on our European tour so far! 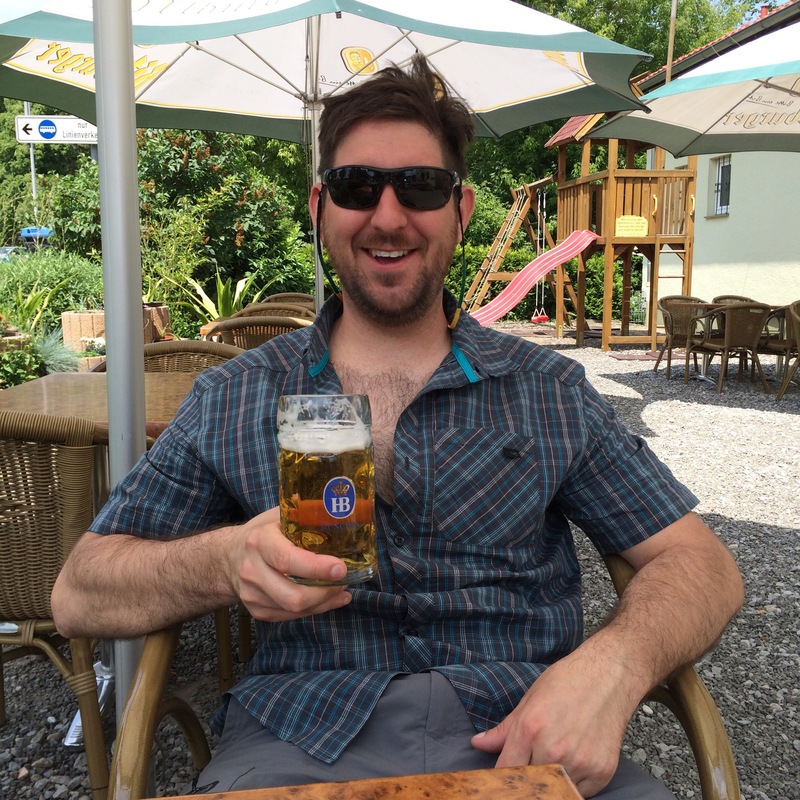 Germany was a great start to our trip. Thanks to John & Stacia for a recommendation to stay at Meininger Hotel, we had lodging close and easy enough to get to from the airport. Hauling two bike boxes and all our luggage was not graceful, but we did it. 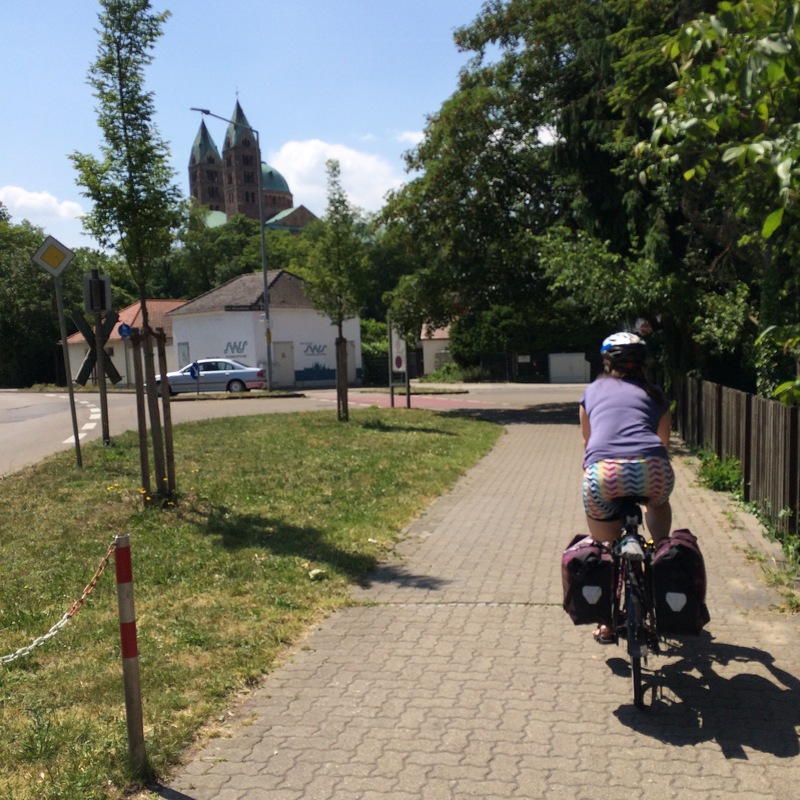 The next morning we took the S8 train to Mainz to start our bike tour. First, our map was totally missing. Still no clue where it is – must be the hotel. Then, we went a mile or two in the wrong direction. Many, many thanks to the kind German woman who pointed us in the right direction. Once we were straightened out, the going was (and continues to be) easy. Our trip begins along the River Rhine and there are hundreds of kilometers of maintained and marked trails and routes. We followed the Rhine, sometimes directly on it, other times through country meadows and farms. It was beautiful. There are chives everywhere that remind me of my Pop Pop’s garden, and his mother was German. I was thinking about him a lot through Deutschland. Eventually we were far enough south on the Rhine and one of the bike route mileage markers said (FR) after one of the towns. That means France! And further along on the trail, we come to a simple sign that says ‘Welcome’ and details on the French River Rhine Veloroute. No pomp and circumstance, no border patrol… The bike signs changed ever so slightly and that was it. 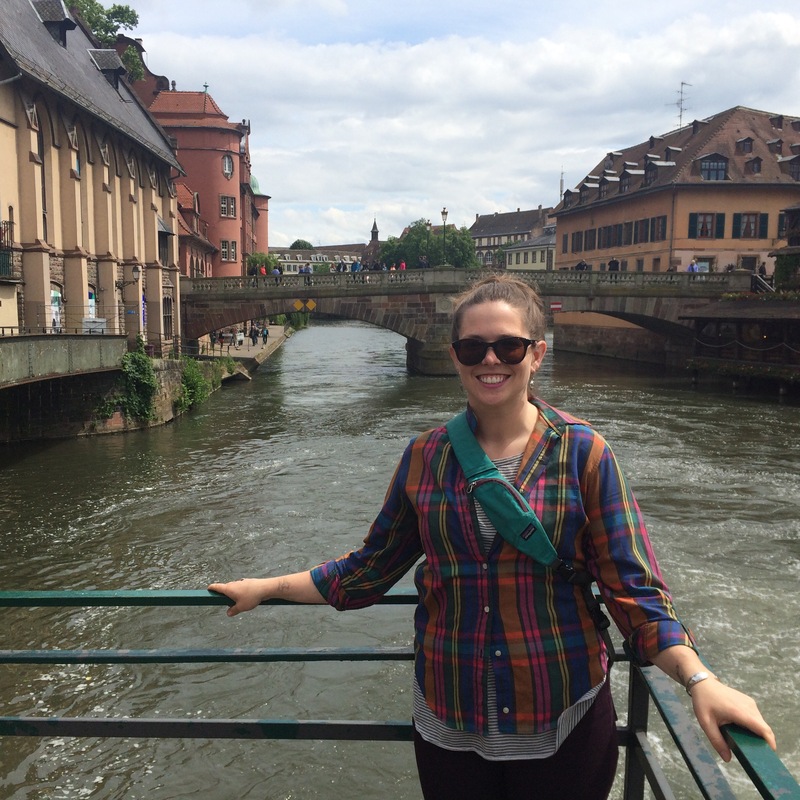 One in France we opted to bike all the way to Strasbourg, for a total of ~57 miles in one day. 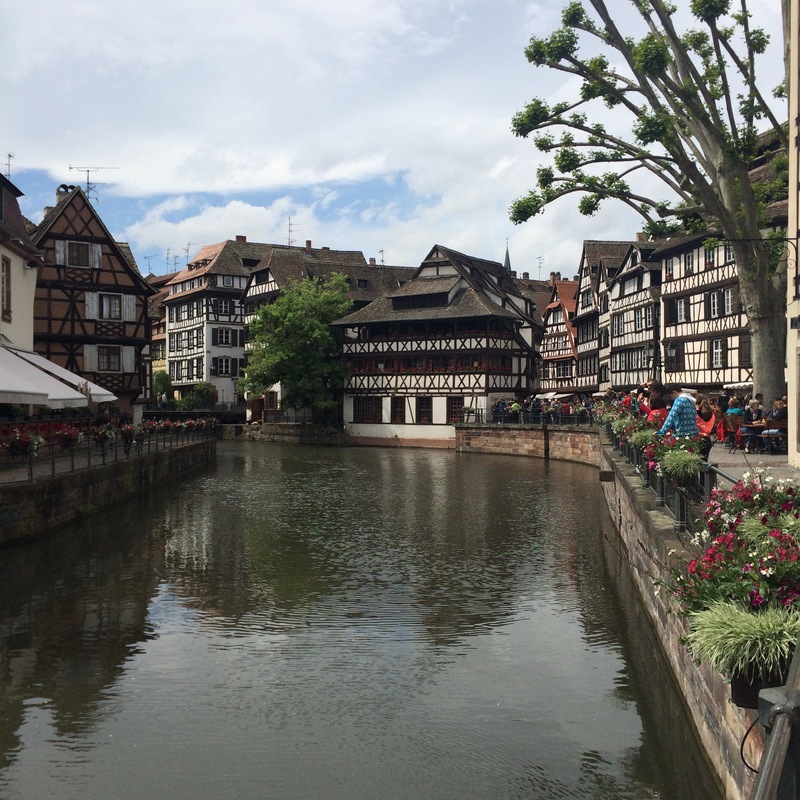 For our hard work, we took today off and toured Strasbourg’s Centre Ville et Petite France. Other highlights of the trip so far: shopping in patisseries and charcuteries and ordering in French and managing to convey that we cannot eat nuts; asking where to buy camp fuel, getting directions and actually understanding and finding the destination – all in French. And just in general, being in Europe. Tomorrow, we are back on bike and headed further south. Our butts are sore, our bodies are strong, morale is good! 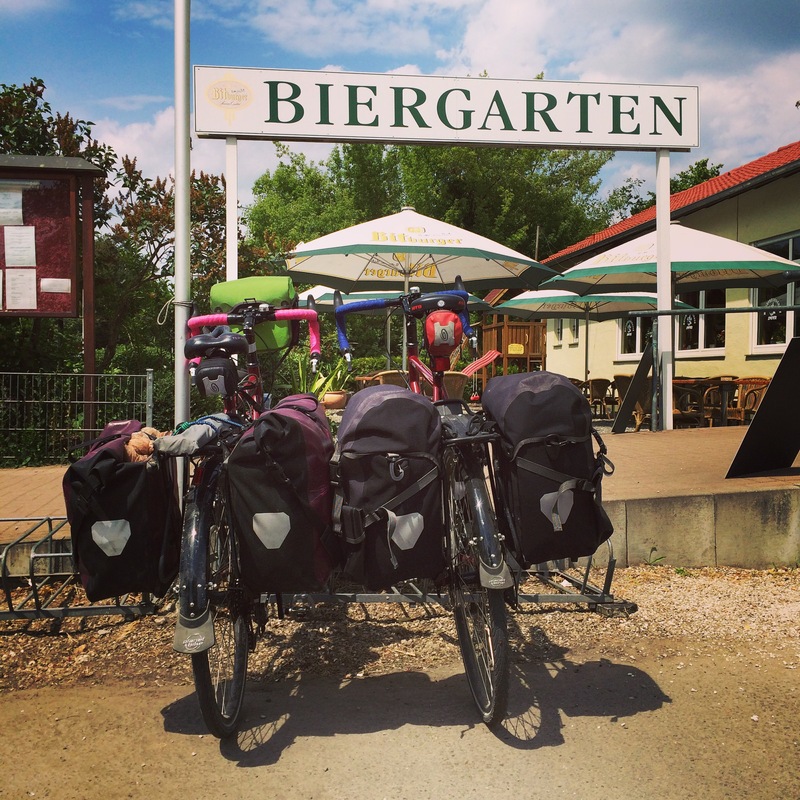 Speyer, GR: HB @ the Biergarten! This one is for you, Johnny! I am living the trip vicariously through you, Aimee! Enjoy every minute of this trip of a lifetime. How come Adams holding a beer in all his pictures? Looking like a great trip, enjoy. Ha! It must be how he copes with 10 weeks of me on bike! !